I am arriving at Narita at 7pm at night. Is it unrealistic to think I can catch the 7.50pm Narita Express into Tokyo? (I would have to clear customs and buy a ticket). From there go to the time table links - http://myoko-nojiri.com/access/index.htm#fares and see if you have enough time. You should be able to make it easily. I would catch the Keisei Skyliner to Ueno, transfer to the JR Ueno station and then get the shinkansen from there. I've looked at all the timetables and it seems that the time I have between connections at Ueno or Tokyo is about 15 minutes - is this time enough to change to the Shinkansen platform? 15 minutes at a pinch - knowing where you are going - and not loaded down with luggage. Otherwise get the next train. Without some sort of unavoidable delay you will get to Nagano. I have caught a flight in around that time and made not only the shink but ALMOST the last connection to Myoko. If you get stuck catch the overnight train that goes to Kanazawa from Ueno. It stops in Naoetsu about 4am and then you can get the local train to Myoko about 6am. 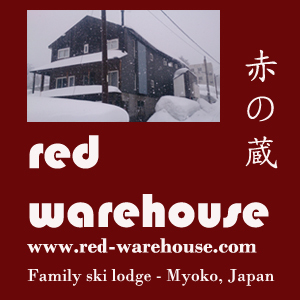 imtaxi will also pick you up from Narita and take you straight to your Myoko hotel. Well worth considering. Whats this train "Keisei Skyliner to Ueno"? I'm trying to work out what the best way is to get me from Narita to Ueno on Sunday night 7th Feb. I have a hotel booked in Ueno. Hi Smitty, There's two lines that leave from Nartita - JR and Keisei. The Keisei line terminates in Ueno. We use the Keisei line much more often than the JR. The skyliner is the comfy express train - a bit like the JR N'ex and costs 2,000 yen. However if you get the normal express (which takes about 20 minutes longer I think) it only costs 1,000 yen. So if you're staying in Ueno you're def better off taking either one of those.